One of the best lots on the Bahia Loma Estates and Marina Devolopment. The project can be reached by land or sea. Located in the Province of Bocas Del Toro on the Chirique Grande Highway at the 48 1/4 marker between Chirique Grande and Almirante. It is a 35 minute boat ride to Bocas Town. 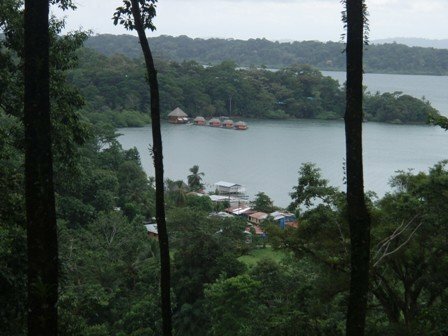 Lot #23 is located high up the hill with spectacular views of the Bocas Del Toro archipelago. Cool Caribbean breezes are year long here.